F i Sarah FRICKS was born about 1807/1810. She died about 1873. Friedrich Wilhelm ZANDER [Parents] was born on 1 May 1872 in Gräfenhainichen, Germany. He was christened on 3 May 1872. He died in 1939. Friedrich married Anna Margarethe Wilhelmine STECHER in 1899 in Eschwege. Anna Margarethe Wilhelmine STECHER was born in 1877. She died in 1953. Anna married Friedrich Wilhelm ZANDER in 1899 in Eschwege. F i Marie ZANDER was born in 1900. She died in 1986. Ernst ZANDER was born in 1901. He died in 1969. F iii Ernestine ZANDER was born in 1906. She died in 1998. Wilhelm ZANDER was born in 1909. He died in 1975. F i Lavina Edith PIPER was born on 2 May 1840. She died on 10 Oct 1923. F i Anna Cecilia CARLSDOTTER was born on 27 Jul 1859. She died on 8 Nov 1932. F i Emilie Henriette SEELEMAN was born on 6 Jun 1865. She died on 20 Oct 1912. 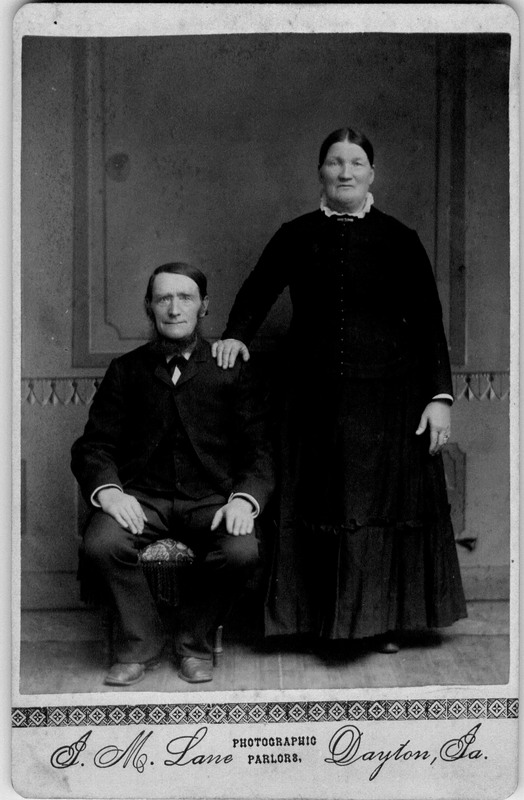 Henrietta Wilhemine SEELEMAN [Parents] was born on 18 Oct 1842 in Gräfenhainichen, Germany. M i Ephraim HAMBURG was born on 1 Oct 1826. He died on 31 May 1913. F iii Louise HAMBURG ALEXANDER. David MANDELBAUM [Parents] was born on 13 Dec 1816 in Gehaus, Sachsen-Weimar, Germany.